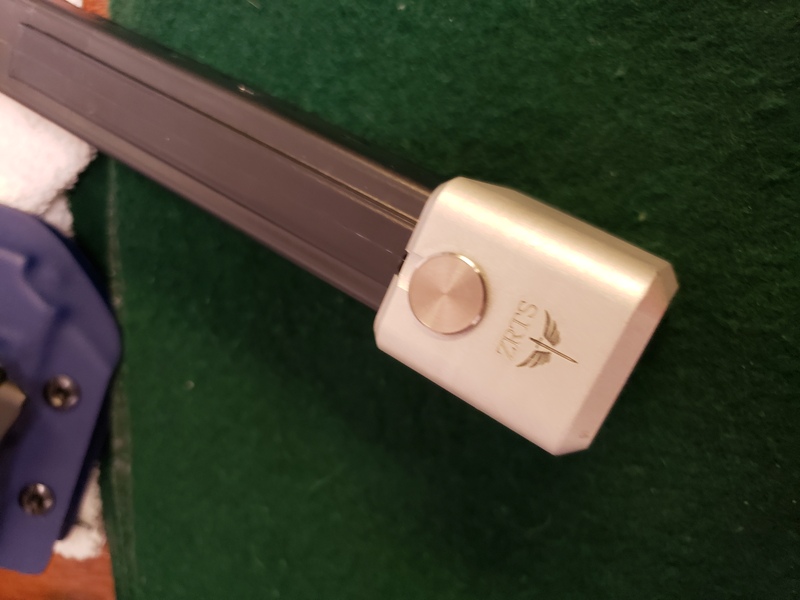 ZRTS has designed a magazine basepad for the B&T 9mm platforms that protects the plastic tube and adds 5 rounds to the capacity! These will work on all GHM9, APC9, and TP9 magazines. Designed and made in-house, these basepads are CNC machined from aluminum then hard anodized black. The locking pins are turned from stainless steel for durability. The basepads are field removable with an Allen wrench. These require no modification to the magazines themselves. Simply remove the factory floorplate and install the ZRTS extension. Performs reliably with the factory spring. Locks back the bolt without issue. First range report on the ZRTS +5 APC9 mag extension. Ran approximately 200+ rounds through it yesterday. Round nosed, flat nosed, 115, 124 and 147 gr as well as some aluminum cased ammo. Had zero issues loading the mags and zero issues during live fire. I feel good enough about it to run it in a USPSA match next weekend! The little added weight helped to drop the empty mags while the bolt was open. If you are looking for a metal extension, these are the best on the market!